King Ferdinand came to the throne in October 1914. Rumania entered the war against the Central Powers (Germany, Austria-Hungary) but was defeated and by January 1917 all of the country south of the River Sereth was in the hands of German, Austro-Hungarian or Bulgarian forces. The government moved to Jassy in Modavia. From 1915 to 1918 there was a postal tax used to support the Soldiers' Family Fund. 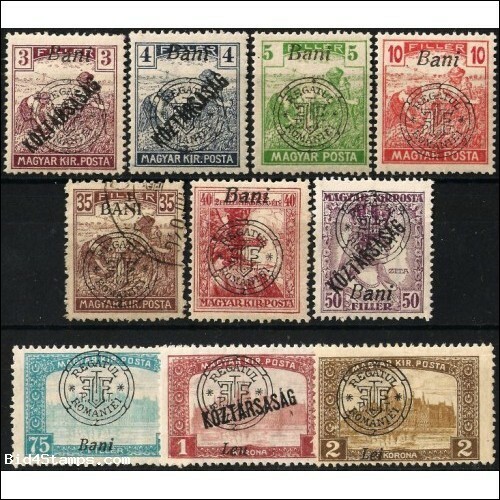 There was also a special printing of stamps made when the government moved to Moldavia. In December 1918 the union of Transylvania (the eastern part of Hungary) and Rumania was proclaimed. 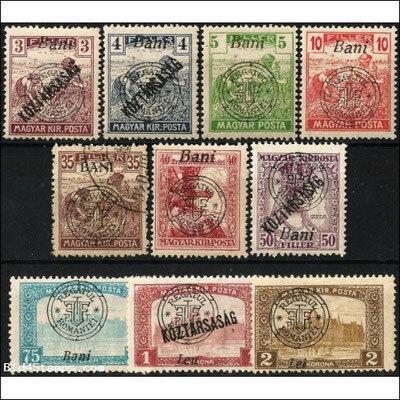 Stocks of Hungarian stamps were overprinted to be used in Rumania.